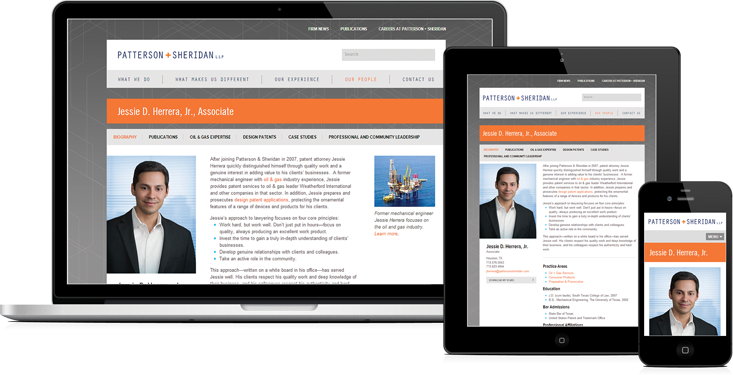 "Responsive design" mobile technology was recently launched on the Patterson & Sheridan website. Responsive design, is a new standard for mobile websites. With responsive design the layout of each page of the website automatically adapts to fit any screen size. This means that users get a smooth user-experience whether they’re using a smartphone, tablet — or even a large desktop monitor.